From US 50, SR 48 to Manchester. Property on R @ corner of SR 48 & Willoughby Rd, just before Manchester Elementary School. Sign on. Unique property offers 2 separate homes on 1 lot! 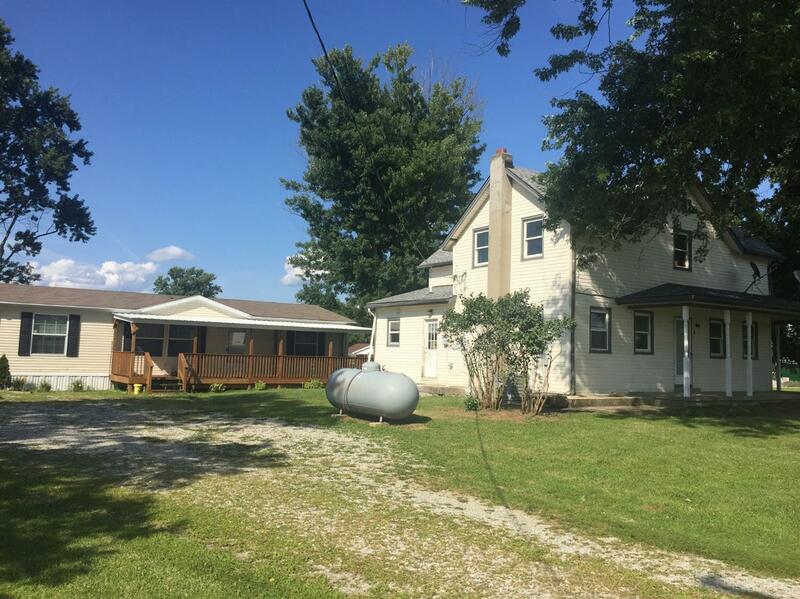 Updated farm house w/lots of character, wrap around porch plus new kitchen, Bath, paint & carpet. FR has stone FP & doors to small deck. Manufactured home in great condition! Open floorplan. New carpet in 2018. Large covered porch & patio doors to rear yard. MBR w/adj BA w/steeping tub & sep shower.